Below are twenty of what I think are my best shots of the year of birds taken in Cornwall. Naturally the majority of images are birds of coast and estuary. Not all of them are out and out rarities but just nice to see pictures of local birds. As the photographer, each shot brings memories of the day, the conditions and the circumstances leading up to the shot. 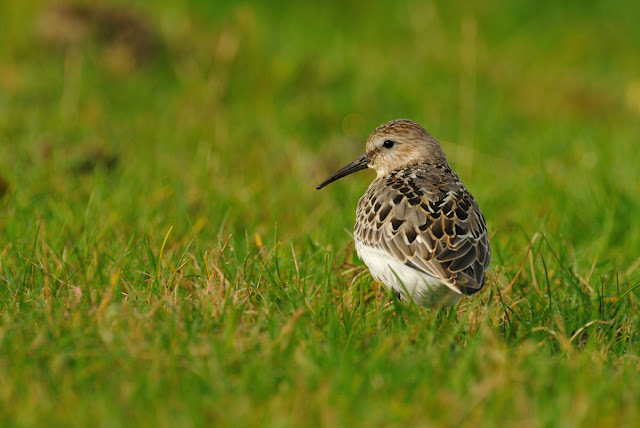 The Baird's Sandpiper at Marazion took me three attempts to get these images. Luckily it stayed in the beach area around Marazion and Long Rock for a couple weeks. The Chough image was a pure fluke as I was concentrating on a Yellow-browed Warbler when this flock of five birds landed in a field behind me. 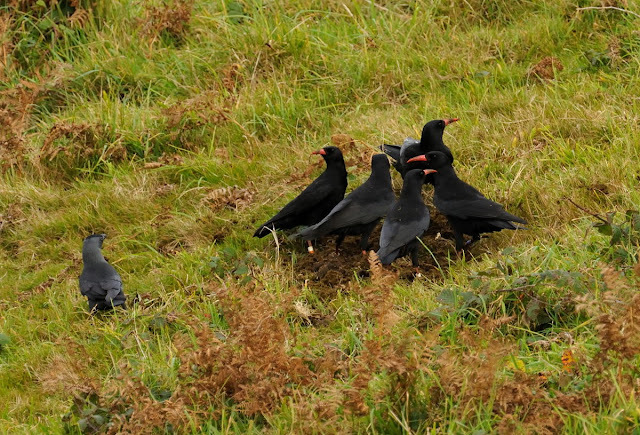 Full of character and colour, Choughs are difficult to get close to and the camera exposure is also tricky to perfect on these predominantly dark birds. Waders are my second favourite family of birds. Juveniles in Autumn are especially photographic with their perfectly clean and fresh plumage, as was the case with this juvvy Dunlin at Davidstow in September. 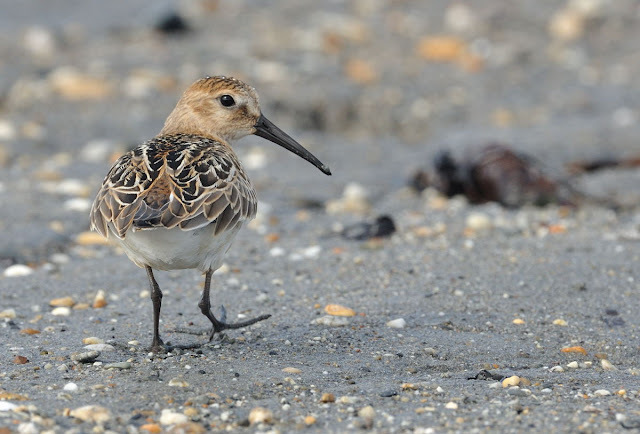 Waders at Marazion beach are usually confiding and again this juvvy Dunlin was particularly classy. 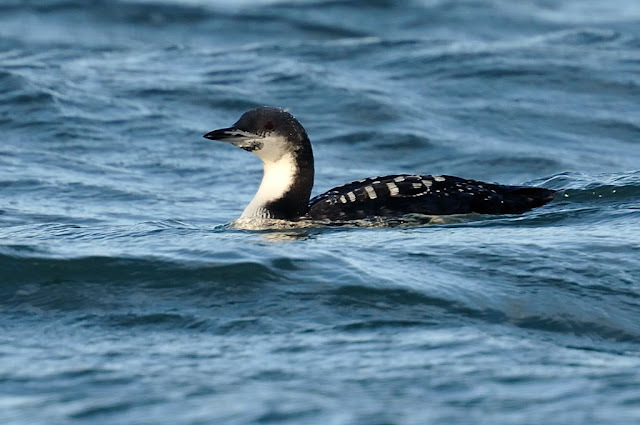 The Great Northern Diver below was taken in December at Newlyn Harbour, one of the best sites in Cornwall for close views of sheltering divers, grebes and gulls. 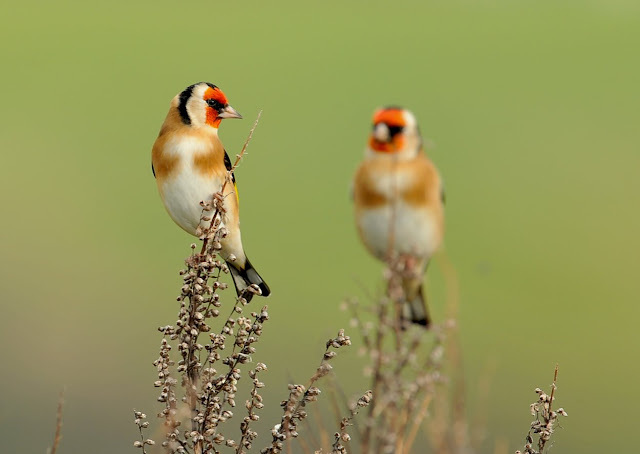 The Goldfinch shot was actually taken at the end of 2008 at Portscatho but is one of my all time favourites, so have shown it here. Storm blown sea birds have been one of my targets this year and 2009 did not disappoint with several big storms in the early and latter part of the year. A 600mm lens obviously helps to get closer to the birds but the condition of the gear after a session in a gale on a beach would make you weep. The bird below is a juvvy Little Gull at Long Rock beach. The Little Stint below brings back fond memories of our lovely summer...or not. 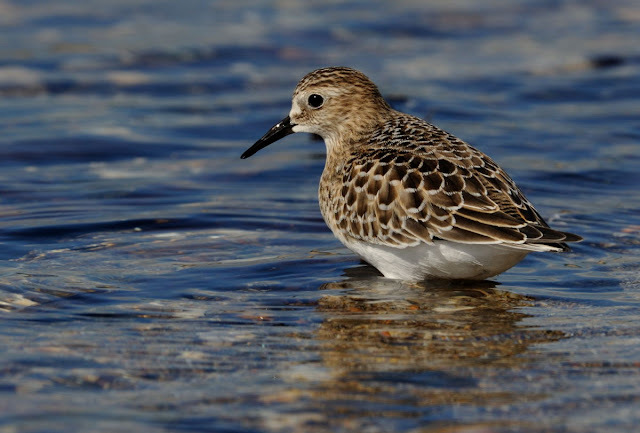 There were only a handful of Little Stints this autumn. I found this young bird at Davidstow in appalling conditions. I managed to swing the car round and take the shots through the passenger window (from the driver seat) so as to keep the lens dry. 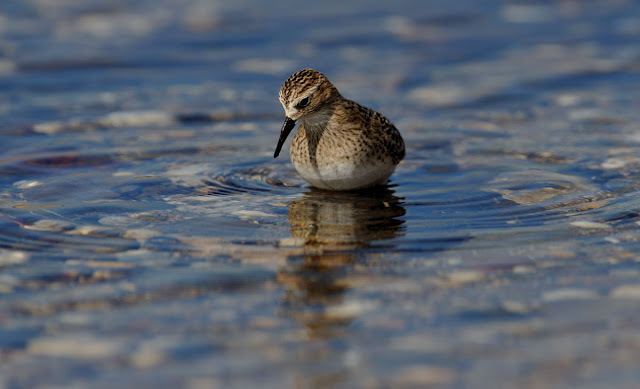 The Little Stint below was taken at the Red River at Marazion. I like the shot as the fast shutter speed has caught the movement of water and the pale body is set nicely against the dark colour of background seaweed. 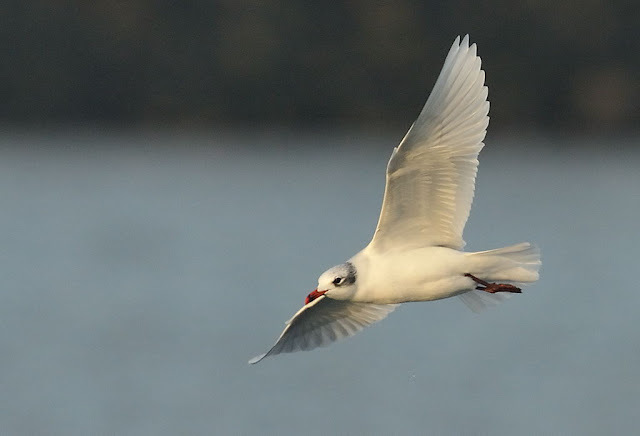 Mediterranean Gulls are a regular sight in Cornwall now and Carnsew Pool is a good place to find them feeding nice and close to the footpath. This adult came to within 20 yards. 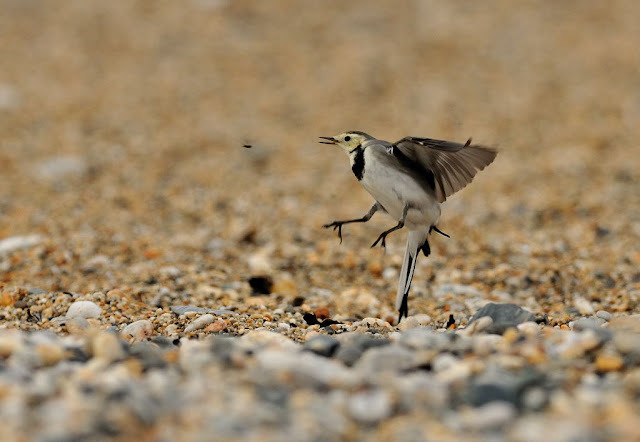 This shot of a Pied Wagtail leaping up to catch a passing fly was quite popular among blog readers and attracted quiet a few comments at the time, so have included it here again. It is of course a pure fluke to catch the fly and bird in focus. 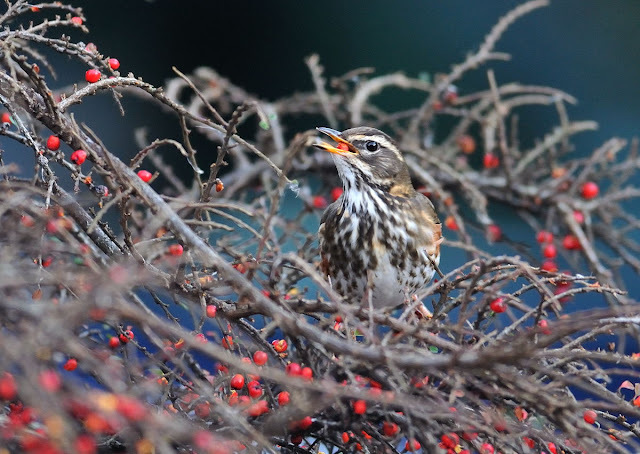 Only taken just before Christmas, this Redwing in my drive feeding on cotoneaster is one of my favourite shots. Redwing just oozes quality. 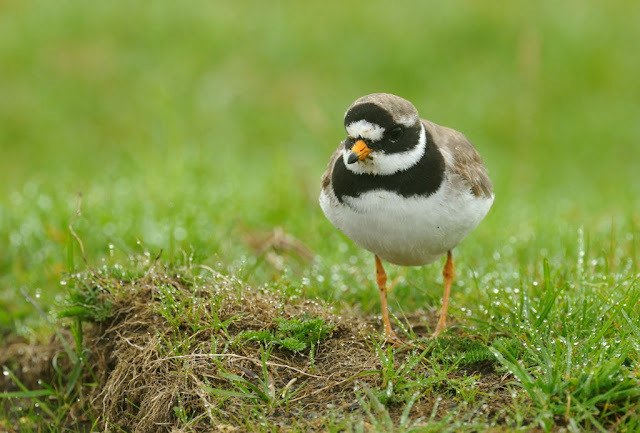 Hardly a "quality" bird but the shot brings back memories as I arrived at Davidstow before dawn, early enough to catch the dew on the grass and find some waders like this Ringed Plover busily feeding and, unperturbed by my presence. Seabirds are a growth industry at the moment and I predict Cornwall to become THE place to visit next August. 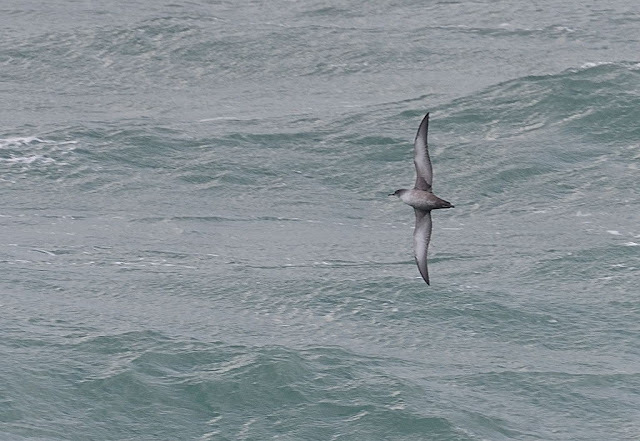 With many Wilson's Petrels, several good Fea's Petrels, Black-browed Albatross and Madeiran Petrel this summer, plus easy mainland access, Cornwall will be the seawatching hotspot in summer 2010. A series of Pelagics are also planned so bring it on! 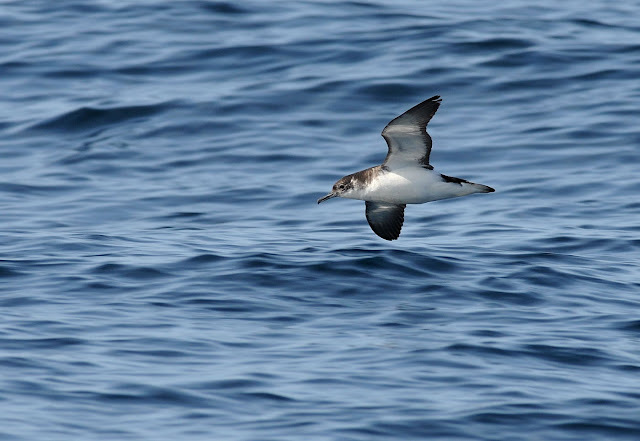 The Manx and Sooty Shearwater shots were taken from a Newquay Pelagic in August. Flat conditions allowed very close views of these normally difficult to photo birds. 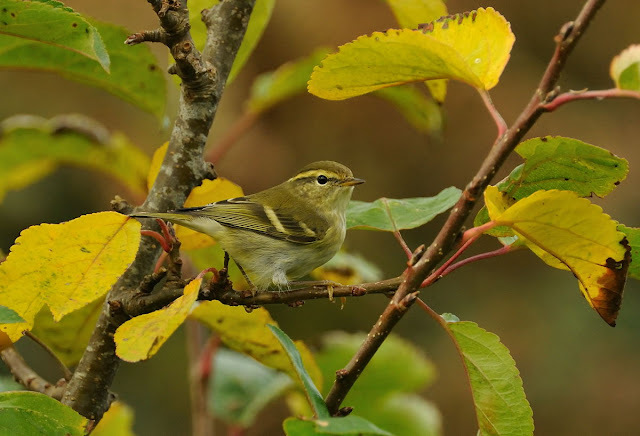 This Yellow-browed Warbler was taken at Nanquidno in October. I took a lot shots of this tame bird but this is my fave as the focus and exposure is perfect. I like the autumnal colours and also the composure of the shot. 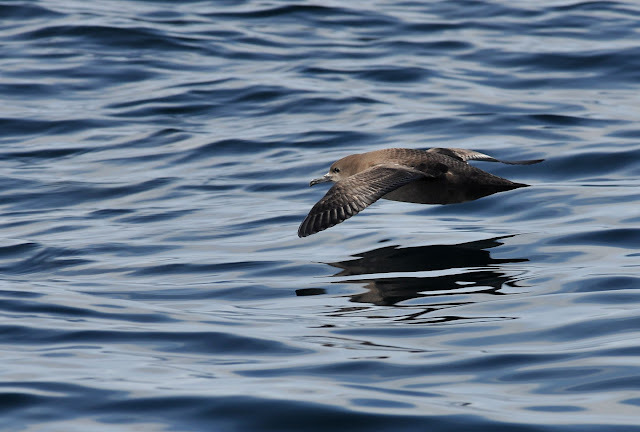 In a strong north-westerly wind in November, a visit to St Ives was rewarded with this Balearic Shearwater. I like the shot as it shows the full underwing in a vertical position, highlighting the strength of the wind as the bird shears the wave. 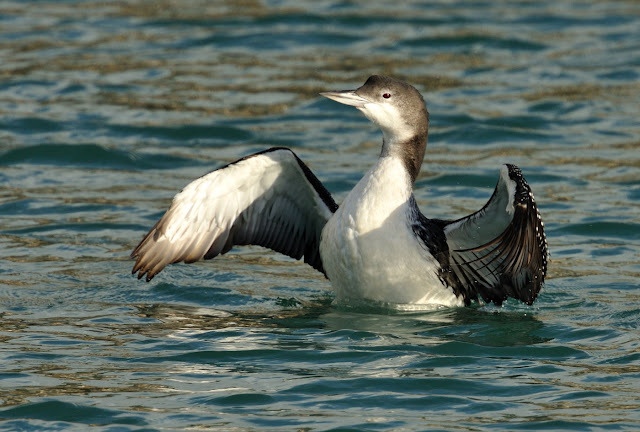 Finally, not the best of shots, but this Pacific Diver is indeed a rarity though, and should be shown here. It is only the fourth record for UK but most likely the same returning adult, having first appeared in Cornwall in 2007 and then again in 2008. 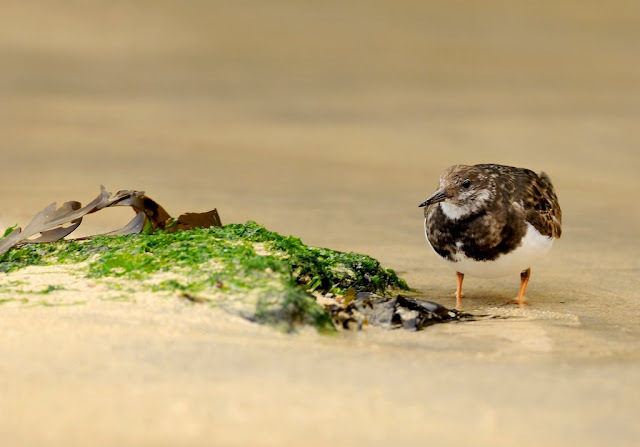 The Turnstone below was taken at St Ives harbour, handheld with a 300mm lens and the first of a series of shots with a new D3x. (This was inadevertently the 20th favourite shot somehow missing from the list). 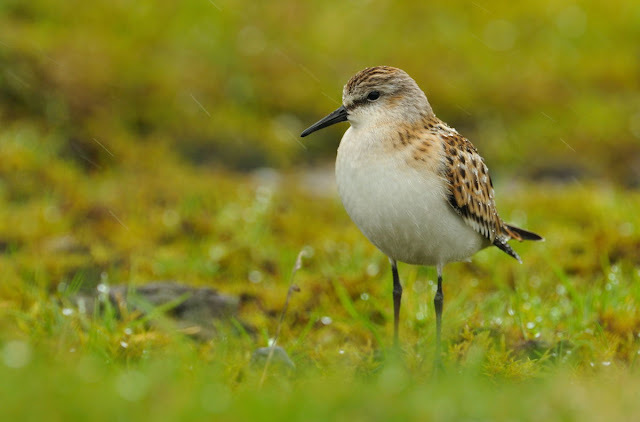 Great selection Steve, the Little Stint is my favourite one, excellent work throughout the year on your blog, great images. Hi Steve and merry christmas to you.Some lovely photos there....im particularly drawn to the Little Stint,cars can make great hides! 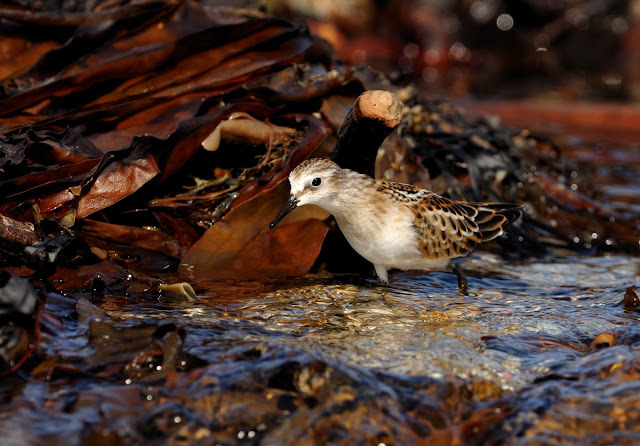 Great shots Steve!In my opinion the best two are the Little Stint and Sooty Shearwater. What a great set of images steve!!! The 2nd Baird's Sand is my fav. Posting pics like that show what a great photographer you are. I like the Little Gull image as I do like to see the way birds fit into their environment. Excellant selection Steve - I thought my favourite was the Little Gull until i scrolled to the Pied Wagtail. Superb. How about running a poll to find our favourite image amongst your collection? Great record of a years work Steve,all cracking shots hard to pick a favourite. Happy New Year to you and yours. 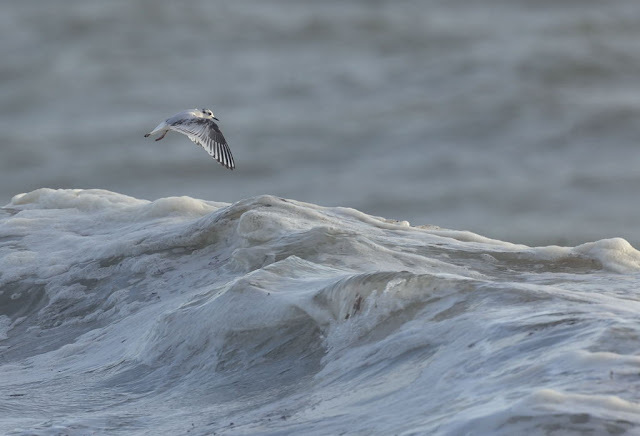 Love that Little Gull shots Steve - atmospheric. It's really strange Hugh..several people like the Little Gull shot for the same reason as you, but initially I never really gave it too much attention. Different eyes see different things!